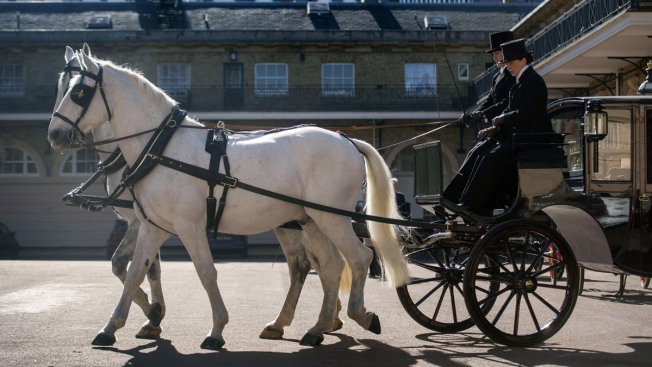 Two Windsor Greys, which will pull the carriage at the wedding of Britain's Prince Harry and Meghan Markle, during preparations in the Royal Mews at Buckingham Palace in London, Tuesday May 1, 2018. 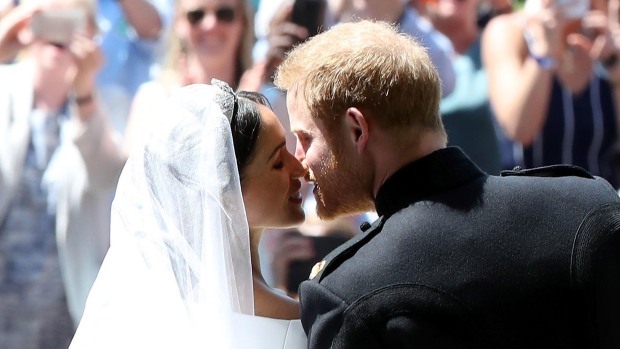 Prince Harry and Meghan Markle will tie the knot at St. George's Chapel in Windsor, southern England on May 19, with about 600 guests and some 2,600 neighbours, staff and specially selected members of the public greeting the happy couple outside the chapel. The Scottish State Coach will be used in the case of wet weather and the Ascot Landau open carriage used if it turns out to be a sunny day. It wouldn't be a royal wedding without a horse-drawn carriage.